You certainly don’t see one of these everyday. 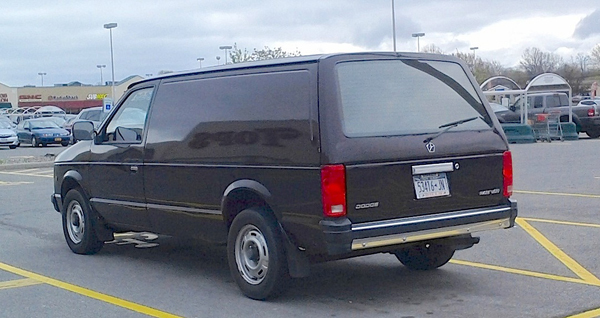 This 1988 Dodge Ram Van, which you also rarely saw when they were new, is the windowless delivery version of the Dodge Caravan. I’ve been seeing this one driving around Niagara Falls for the past couple of years, but last week was the first time I came across it standing still, posing for a RealRides photo-op. Jim Corbran, RRofWNY The post RealRides of WNY appeared first on Buffalo Cars.